Are you going to start a bathroom remodeling plan? If you are, do you have all of the tools that you will need? You will need some tools and equipment for the project. When it comes to bathroom renovation or just about any other home improvement project, some people will automatically think about the materials that will be used for the project. If you want to replace your bathtub, of course, you will need a bathtub replacement right? But, how will you get the bathtub placed without the right tools? You can not. That is why it is necessary to know what tools that you will need before starting the remodeling project. When it comes to tools or equipment for the project, you will find that the tools you are going to use will depend on the remodeling that needs to be done. For example, if you are going to remodel your entire bathroom, you will likely require more tools than you would if you were just renewing your bathroom closets. Despite the fact that different remodeling projects often need different equipment, you will notice that some gears can be used on just about all bathroom remodeling projects. It might be a good idea to store these gears, which are listed below. One of the many tools that you will need to have on your hand for the project is a pair of pliers. Pliers are one of the tools that you can use on a regular basis, not just for the remodeling project. Therefore, there is a good possibility that you already have a pair of pliers in your house. It is also better that you have a tape measure when preparing the bathroom remodeling project. Whether you are going to install a new light fixture or tile for your bathroom floor, you will need a tape measure. In addition to a tape measure, you may also want to be sure that you have a level. Using a level with a tape measure will not only help to secure your cabinets or wall hangings are centered but that they are also level. Another equipment that you should always have for remodeling the bathroom is a screwdriver. You will need a multi-function screwdriver, if you don't have, then you should get one. It's better to have a screw gun. It's a simple tool that can help speed up your bathroom remodeling project. It is also considered that you have a ladder for the remodeling project. Ladders are used to help reach high places. It's used if you need to paint the bathroom ceiling or even to replace the bathroom lights. You certainly will need a ladder. In addition to a ladder, it's a good idea to keep a small step stool. Step stools are a great tool for supporting you to reach high spaces. Step stools are also helpful because the stuff is quite small, so you won't need a large amount of space to keep the step stools. In addition to all of the mentioned equipment, it is also necessary to set your focus on the safety procedure. The time and how you plan to buy the new remodeling tools, it is recommended that you also buy some safety equipment, particularly if you don't have the equipment. Safety equipment, such as work gloves, face masks, construction hats, and safety goggles. Those are just a few of the many tools that you may need for the project. 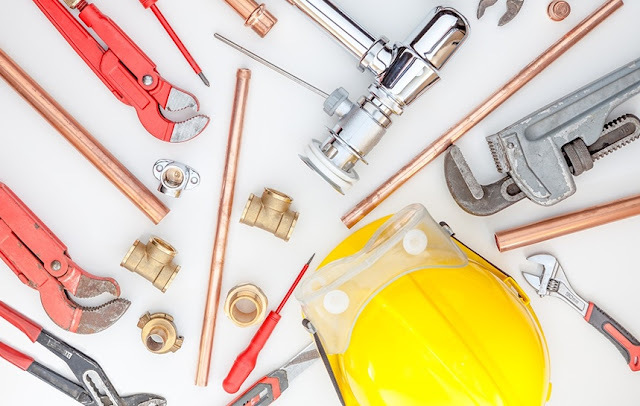 For a more accurate list of instruments that may need to be utilized during the bathroom remodeling project, you are encouraged to review the improvement projects that you have scheduled. Doing the review is the right way to not only know what to expect but also to know what tools you may need for the project.